I’ve recently returned from a holiday in Málaga. The weather was blisteringly hot and not hugely conducive to drinking big red wines but I did manage to squeeze in a few glasses of some of my favourite Spanish reds and the Riojas of CVNE (Compañía Vinícola del Norte de España) are a good starting point. Okay, okay, I know that Rioja is nowhere near Málaga, but since I bought this particular wine there and I’m really just looking for an excuse to blog about it, I’m going to sneak it in here. CVNE has a number of different Bodegas, each with their own wine styles and both the Cune Rioja Crianza and Reserva are available in many wine shops in Ireland. Indeed, the Cune Rioja Reserva is a personal favourite of mine as it was one of my first “welcome to Rioja” moments. So back to Málaga; in general, I try to pick up some basic Cune Rioja Crianza for day to day quaffing and anything from the Imperial or Viña Real ranges for special occasions. 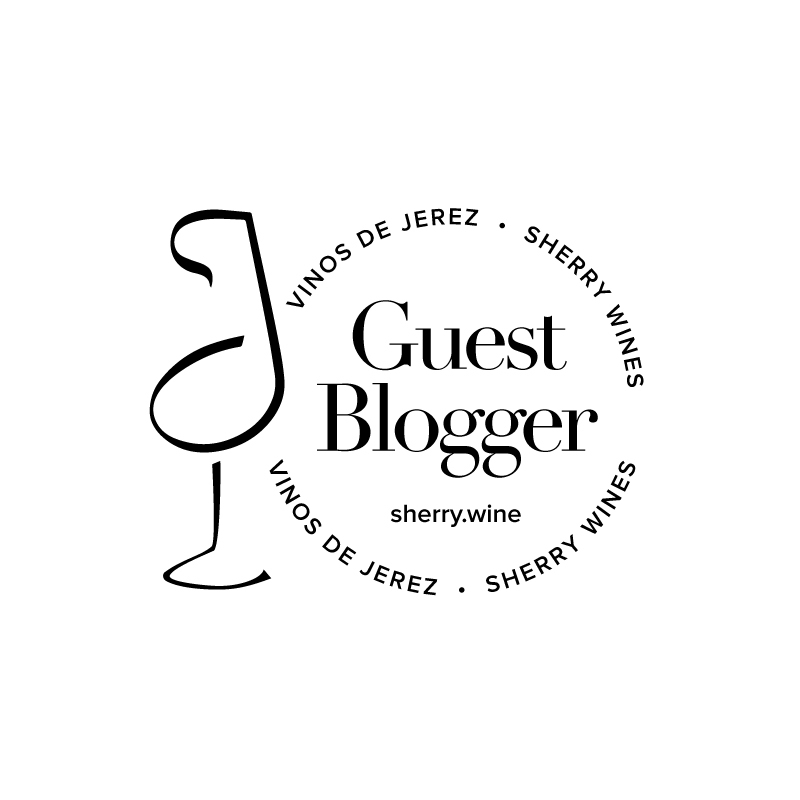 I differentiate Viña Real from Imperial in my own mind by considering the former to be a bit softer and more elegant in style than the Imperial, which is a more structured and tannic range of wines. 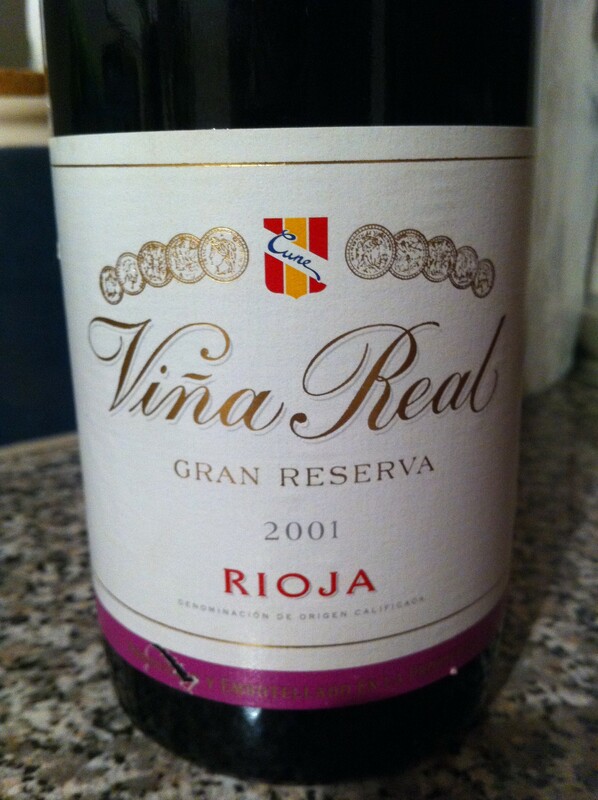 In essence, the choice comes down to “what do I feel in the mood for tonight” and that’s exactly what swayed me when I chose a 2001 Viña Real Gran Reserva over a 1999 Imperial Gran Reserva. The 2001 Viña Real Gran Reserva is a blend of 95% Tempranillo and 5% Graciano sourced from the Rioja Alavesa region and aged in French and American oak casks. CVNE rated 2001 as a 5 star vintage so I had high hopes. The nose was deep, intense and smokey, with lots of vanilla and wild red berries. On the palate, the wine was packed full of strawberry, raspberry and sweet spices all coming to a head in a lovely mineral stoney finish. There was still a fair bit of tannin there but all the constituent parts were well-integrated and balanced, so when you add in the excellent length, this is definitely a wine worth seeking out this side of the Bay of Biscay whether you want to drink it now or stash it away in the cellar. Stay tuned for parts two and three in the coming days.